Radio frequency interference, or RFI, is radiated electromagnetic “noise,” which travels through the air as radio waves. RFI is identical to EMI, or electromagnetic interference, except that EMI is conducted along wires, electrical circuits and conductors, while radio frequency interference (RFI) travels across “free” air space in the form of radio waves. Electromagnetic interference and radio frequency interference are the magnetic fields which are given off as a bi-product of electrical currents, and both EMI and RFI impede the normal flow of electricity through currents, causing interference and malfunction in electronic devices. Radio frequency interference is high frequency, typically 100 kilohertz or above; RF shielding is especially designed to block these high frequencies with copper, aluminum, galvanized steel, conductive rubber, plastic or EMI coating paints. 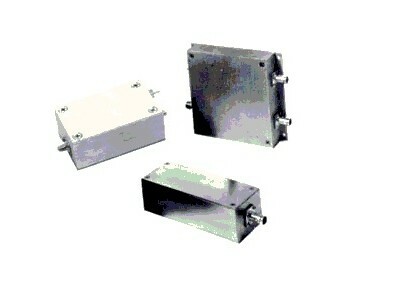 RFI can be shielded by EMI enclosures, EMI coatings and EMI gaskets. It should be noted that not all of these block ground-conducted electromagnetic interference; EMI enclosures, gaskets and EMI coated enclosures aim to block out RFI signals traveling through the air and are not nearly as effective in trying to block conducted EMI. EMI and RFI are created, by widely varying degrees, by everything which conducts electrical energy, including electrical wires, electrical appliances, computers and all electronic equipment. Signal-bearing electronic devices such as mobile phones, laptops and GPS devices give off RFI. Normal electrical currents are disrupted when moderate to high levels of EMI or RFI are introduced; un-channeled electromagnetic signals and radio frequency waves can act as “noise”, magnetically altering normal flow of electrical currents and impeding the flow of electrical energy. Products such as EMI enclosures, EMI coated interiors and EMI gaskets are necessary to provide full protection from RFI, which continues to increase exponentially as more and more mobile electronic devices are introduced to the consumer market. However, even through RFI products can be used, RFI sprays are the most common form of RFI shielding. An RFI spray, or coating, is often composed of an acrylic base in addition to pure metals such as silver, copper or nickel. Some common applications of RFI shielding include packaging of electronic devices such as printed circuit boards (PCBs), cable assemblies, interconnects and input output filters. 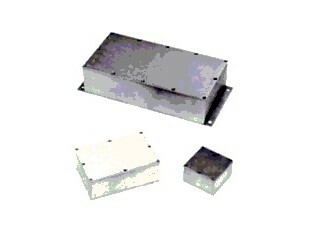 Industries that commonly require RFI shielding products include medical, telecommunications, electronics and military. RFI Shielding RFI shielding is a method of protection against any electromagnetic disturbance that is emitted from either an electrical circuit or electronic component that may interfere with the operation of other electrical circuits or components.